Host Peter McCabe talks to 2/3s of the 33 1/3 Collective, a collaboration of Dutch artists Douwe Dijkstra, Jules van Hulst and Coen Huisman. 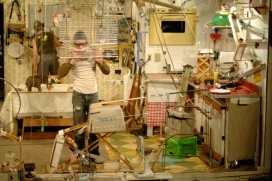 In the form of multimedia environments and performances the group creates images, atmospheres and theatrical scenes. The stated approach is to visualize virtual, multi-layered and mysterious spaces that change constantly, primarily using projections to tell our own story. First viewed by PROTOTYPE producers at Operadagen Rotterdam, 33 1/3 Collective's Bluebeard will have its North American premiere as PROTOTYPE Festival's first International work in a co-presentation with 3LD Art & Technology Center. 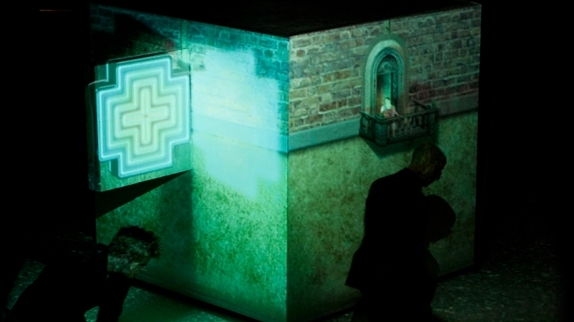 Having successfully created and produced a number of multimedia projects, the 33 1/3 Collective was invited by the Voi-Z Festival Zwolle, in the Netherlands, to produce Bluebeard (Blauwbaard) in 2011. The performances take place January 10-12, 2013 at 5pm & 8pm and January 13 at 2pm, 5pm and 8pm at 3LD, 80 Greenwich St. by Rector St. (212)647-0202.